Once upon a time, there was a family of monkeys. Most of the other monkeys lived in trees, but this family lived in a deep hole in the ground. The baby monkeys were always dirty. They looked at the monkeys in the trees wistfully, wishing they could have the fresh fruit from the tree tops. Instead, in the pit, food was scarce and they often found themselves eating whatever rotten fruit remained. The peelings of the fruit remained scattered throughout the pit, and the whole region was infested with bugs and filled with their filth. The young monkeys knew things weren’t right here, but it was all they’d ever known, and climbing out of the pit was so hard. Even worse, they were regularly made to believe that life in the pit was all they deserved. There were too many baby monkeys, they were told. If there weren’t so many of them, THEN the adult monkeys could make a real home for them up above. If the baby monkeys just worked a little harder, tried a little more to clean the pit up (without the grown-up monkeys ever helping or teaching them how) THEN the pit would be as good as the trees. But the baby monkeys didn’t know how and the grown-up monkeys only talked about the what-ifs. The talk changed nothing. Eventually, though, as the young monkeys grew older and saw how good life was for the monkeys living up in the trees, they decided life in the pit wasn’t for them after all. They each started to climb, a little at a time. They reached small ledges along the walls of the pit, gradually working their way higher and higher. They climbed at different rates, but called out to one another, helping each other as they could. Some monkey friends from the trees reached out and helped them each as well, but when it came to it, they had to each climb their own way out of the pit. One by one, they each made it to the ground. They scattered, some to enjoy life at this new height, others to try to find a way into the trees from there. One little monkey lay panting on the ground, contemplating the trees, wanting desperately to join them. But it had taken so much strength just to get to the ground. So she looked back at the pit. It was not a wistful look, not a nostalgic look, but simply a contemplative one. Sometimes she still believed that was where she was supposed to be, the only place she was fit for – that the trees were no place for the likes of her. But when she looked at how deep the bottom of the pit was, she was proud of how far she’d come. She glanced down into the pit again. Then she picked up a fallen piece of fruit nearby, for energy. It was so fresh! Freshly fallen, and so much better than the rotting fruit and slimy bugs of the pit! Nourished, she reached out and slowly, carefully, flexing muscles she’d never used in her life, started to pull herself up to the lowest branch of the nearest tree. It wasn’t easy. She had never been in a tree before. All her climbing experience was based on scaling the lumpy walls of the disgusting pit. She was so proud of herself for reaching the ground! But the monkeys in the treetops weren’t. All they saw was that she was too far down still. Some bark managed to work its way between her mangy fur and scratch at her. Her fingers and muscles ached from the effort. But finally, eventually, she made it to the lowest branch. She collapsed on it, exhausted. But she didn’t know how. A tear rolled down her cheek as she looked back, toward the pit, wondering why it was so hard to go so far. The other monkeys seemed to think the treetops were so easy to reach! Maybe she really wasn’t made for the trees. Maybe she didn’t deserve them after all. She smiled. And she rested where she needed to, passing the time by studying grooming techniques or contemplating the branches above and considering how to get to them. Other monkeys may already know these things, almost instinctively, but she didn’t. She had to learn. Maybe the monkeys in the top branches couldn’t understand, but she was glad to have someone who knew that what looked like bottom to them, wasn’t the bottom at all. They just couldn’t know how far she had already come. It’s so easy to be so judgmental. I do it. I know other people do it too. Contrary to what our culture often seems to say, judgments aren’t always a bad thing. You have to use good judgment to determine whether a place is safe to be, whether you need to get out of a bad relationship, whether someone is trying to scam you. Sometimes there’s a fine line between using good judgment to avoid a bad situation, or just being judgmental in a racist way, in a sexist way, in a generally profiling way, or whatever else. But right now I’m talking about the latter kind of judgments–the ones that are making assumptions about other people. I actually tend to be fairly conservative, politically speaking. But generalizations that becomes stereotypes really bother me. See, we have very little money. We do have some government assistance. We have as little as we can help having, but we have some. We could probably have more if we sought it, but we won’t do that because our goal is to get off assistance, not to acquire more of it. But we also have a smartphone. Why? Because my husband needs it for his job. And I’m getting a tablet. Why? Because one tablet is cheaper than the cost to fix or reasonably replace my laptop–especially since we found it with deals. We also use our food-oriented government assistance toward buying things that are as healthful as we can get. We budget it throughout the month, and yes, occasionally we splurge and get some ice cream or something. And what assistance we get is in addition to, not instead of, income through a job. I know people who have EBT and are very smart shoppers who buy designer labels second-hand or at steep discounts. I know people who are on WIC and qualify for state-sponsored health insurance and yet have very nice manicures and pedicures and stylish haircuts–ones that they’ve done themselves or their friends have done for them. Or ones they gotten at heavy discounts because they were willing to go to a beauty school and let the students practice on them. I have also known people who are on EBT or WIC or state health insurance who do not manage these things well and, yes, maybe spend a lot of money on junk. And I’ve known people who do not qualify for any such things but use their money poorly, wasting it on every new gadget or whatever other whim they might have and then not having money to pay their bills. 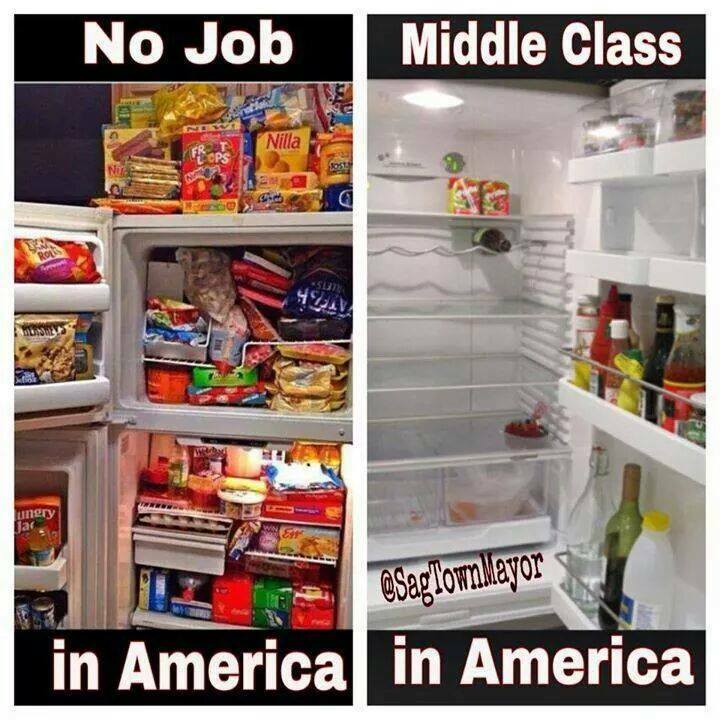 Growing up, we didn’t qualify for EBT. We didn’t have state health insurance. We were far from rich, but we had a lot more money than I thought we had. Our cupboards and fridge sometimes looked like the left side of the first meme, and sometimes closer to the right side. I think I’ve written about that before, but it’s not really my point today. My point is that there are a lot of different possibilities–those who have more money but use it so poorly they might as well not; those who have more money deprive themselves even of things that others would consider needs, to the extent that they might as well not even have money; those who have very little money but use it so frugally that they can, through discounts and second-hand shopping and such, they don’t appear to not have money; and those who have very little money and happily live on the provisions of others, misusing government assistance that’s provided by the tax money of others and writing it off with a watch-out-for-number-one, “Hey, it’s there, I might as well use it” type attitude. All I’m saying is, sometimes we get a really good deal on something that seems way too expensive for us, and I’m afraid to even tell people. I see so many memes in my Facebook newsfeed like the ones I posted above that, after a lifetime of feeling the need to keep a “perfect” appearance to homelife that has translated into my current homelife despite being significantly better than how I grew up, I fear being judged by people who care more about the appearance that we’ve overspent than about the explanation of how we didn’t. Which boils down to this: I fear being judged. Why? I don’t know. It shouldn’t matter. It shouldn’t matter what other people think. But, particularly in matters of finances and housekeeping, I’m extremely sensitive to what others think. I want them to see me as fully capable and responsible. More than that, as I said, I spent all my growing-up years trying to put on a good face and make things look like they were better than they were. But the fact is, if you have nothing and look like you have nothing, people will judge you for having nothing. If you have nothing and look like you have a lot, people will judge you for looking like you have a lot. If you, in fact, DO have a lot, people will judge you for having a lot. 1. Be open and honest so people can see that what I have isn’t necessarily the result of misspending. 2. Don’t care how people judge me as long as I know I’ve done my best to be responsible and to be honest. 3. Don’t judge others in the way I don’t like to be judged. And then my mind was blown. But that same brother and sister have each done something with their own homes that my parents never did: they sought help. They have people from a particular organization come help them with . . . organization. (Why are those the same word? That’s confusing.) These visitors (different visitors for each sibling, I believe) help them get rid of things they don’t need to keep. They help them generally have a better house than we grew up in. And this is the job my mother wants and has an interview for tomorrow. But in me there’s a person who always wants to believe the best of everyone when it’s at all possible. A person who firmly believes people can change, and that said change is only made more difficult by others assuming that the person won’t change and treating them as though they haven’t changed even when they have. And there’s this personal scenario that keeps running back through my brain. See, a couple years ago when we lived with a friend, I hadn’t even wanted to move in with him because, while I was trying hard to learn how to keep a house better, I wasn’t there yet. (I’m still not 100% there yet, but way closer.) But he was my husband’s friend, my husband discussed this with him and he said he didn’t care, and he really needed roommates to help with rent until he got married. So we moved in. I tried. I tried very hard. And I grew, and I learned. But I still look back on that year (slightly less, actually) with guilt and shame. For one thing, whenever I wasn’t there yet for whatever reason–depression hitting again and I just didn’t care, or I really was trying but was still in the learning curve of how to manage the various things, or whatever else–it wasn’t just our friend who was affected. His fiancee frequently came to visit. His parents occasionally came. And of course we had our own visitors as well, but at least we knew when they were coming. I felt awful when our friend had visitors. I wanted so much to explain to them–even just to explain to him–that I knew this wasn’t a good way for the house to be, that I was trying really hard to not keep it that way but it was so unnatural for me and I’d never been taught how to, that I really was growing and changing and getting better at keeping up with the house but it took such a long time that it was hard to see unless you’d known me for a couple of years. He was a very easy-going guy. He really never seemed to mind. But I’m fairly certain his fiancee did. And I know for a fact that at least two other friends of ours did–one of whom essentially cut off our friendship for many reasons, but a starting point to the ending conversation was pertaining to the cleanliness of the house, how we’d packed and cleaned while moving, etc. In other words, how the house was while we were there (living in most of the house, with our friend actually living mostly in his room) was affecting, not just us, not just our friend, but many other people as well. It’s something similar to various other things I’ve experienced. About correcting the grammar of others, about interrupting people, or in my brother’s case, about irresponsibility. I’ve realized that no matter how you work to change these things, a lot of people will continue to treat you as though that’s who you still are. No matter how many years you’ve been making a point of, say, not correcting the grammar of others, some people will still treat you like you do it every time anyone else speaks. And that’s what I do NOT want to do to my mother. For one thing, my father is really the hoarder. My mother acquires the traits of those she’s around, absorbs those traits as long as she’s around those people. Therefore, with over 30 years of marriage behind them, she’s absorbed certain of my father’s traits, including the tendency toward hoarding. But left entirely to her own devices, she’s not naturally a hoarder. She’s not much of a housekeeper either, but she can do some things. But the other thing is, their current apartment, as of the last time I was there (admittedly a couple months ago), was actually being kept in a fairly reasonable state. I mean, my husband is still allergic to it because of mold spores long-since settled into the furniture. My mother spoke of needing to sweep the floor as though it was a rare occurrence that needed doing only because my son got popcorn on the floor, even though I (who hate shoes) refused to walk barefoot in there because the floor was so gross. And I am fully aware that they have about half a houseful of useless stuff packed away in storage somewhere. Boxes of papers they don’t need and such. But still, there weren’t other things on the floor. There was miraculously no cat mess. There were actual floors, not just narrow pathways through large rooms. The dishes, though still not what I would consider well washed, were at least washed and put away. No, my mother never taught me how to clean or organize. But then, she was working full time and the only driver in the family, and I was only one of five children. My father was home with us full time. The responsibility for teaching us should have fallen to him. And no, my mother never kept a very clean house. But again, she was working full time. At least some of that responsibility should have fallen to my father. I have never felt any real connection with my mother. Never in my entire memory, and I have memories from when I was about 18 months. But I’m realizing more and more how much should have been my father’s responsibility that, whether due to physical health or mental health or just his own laziness (and I’m convinced it was a combination of all three), he did not take responsibility for. So right now, I’m just holding out hope that my mother sees how she failed us growing up (not entirely of her own doing), and she wants this job to help others avoid the life that we had. Well, at least the physical household. The yelling and blaming and neglect are something she can’t fix by helping others get organized, but maybe she hopes to at least teach others what she failed to teach her children. Just One . . . . There are certain moments in life that stick in your brain for no logical reason. I thought I’d write about one of my own today. I was a senior in high school. We were in the apartment of the year (as we had a different one every year for 3 years in a row), with the same mess that we always packed away, then released from the boxes upon arrival to instantly fill the new place. I was laying on my bed in the bedroom reading a book for English class. And my mother was very loudly looking for the can opener in the kitchen outside my room. I would never say something like that within her hearing. My self-appointed tasks in life were to keep my mother from crying and defend my father as not being able to do anything because of his disabilities (even though he could have done a lot more than he did). But from the safety of my room, I could at least mutter my thoughts. Because honestly, let’s be realistic here. We had access to half the living room in that apartment, the other half being entirely piled up with boxes of stuff that we “needed” to keep. Of course, we survived a year and a half in that apartment–it being the last in our string of moves before moving to the house my parents lived in from a few days before I left for college, until just a few months ago–without any of the stuff in those boxes. But we couldn’t get rid of any of it either. We “needed” all of it. What’s more, we still had piles and piles of junk EVERYWHERE, and several drawers and fixtures that functioned when we moved in were broken when we moved out. We kids were blamed for this, and I admit we could have done more than we did. You can refer back to my last post, though, about the importance of being taught how to clean. I mean, my siblings and I used to try to make our own chore charts, entirely of our own accord, so we could keep the house clean. We would go on frantic cleaning sprees. They resulted in failure after failure, never sure how to keep up with things, never sure how to stay motivated, never kept accountable or sure how to keep one another accountable, and often yelled at for throwing things out like, say, a meat tray (“Those can be used for paint pallets!”) or a moldy, cat-pee-soaked t-shirt (“We can wash that!” [if we ever got around to getting any laundry washed]). So yes, I admit that there was often more that we children could have done, but please realize that we were kind of flying blind through a very hostile environment when it came to cleaning. I’m sorry if the last paragraph sounds very defensive, but these are things people have indicated, implied, or directly stated to me somewhat regularly–that maybe the mess really was our fault and we can’t blame it all on our parents. It’s so hard for me to differentiate what WAS my own fault or the fault of my siblings, and what was my parents’ fault, but it’s even harder for someone who wasn’t even in the situation to really be able to accurately identify this. Especially if they came from a home where they were taught how to clean, or a lot (maybe more than they ever realized) was done by their parents. Anyway. So back to being realistic about my mother’s statement. In the midst of this huge mess, if one person put one thing away where it belonged once . . . who would notice? Honestly, who would? I was actually really upset by her shouted hyperbole simply because I had actually used the can opener earlier that day and I HAD put it back in the drawer where it belonged. Why it wasn’t there then–who had used it and not put it back, or if it was in the drawer and she just wasn’t seeing it–I don’t know. But really, did she honestly think she would be able to tell the difference if one item was put back where it belonged once? She didn’t even know the difference when we spent hours cleaning while they were out to try to surprise them when they got back. Who could tell? Picture a beach after a hurricane. Picture debris everywhere. All up and down the beach. Now picture 3, 4, maybe 5 children walking up and down the beach for an afternoon, cleaning up as much debris as they can, with no instructions except “clean the beach,” and no idea what half the debris is. Trying to figure out what to do with it. Not even able to lift some things. Just for one afternoon. Honestly, if no one saw them out there, anyone coming along afterward might not be able to tell that anything was done at all. Generally, you can get a lot done in an afternoon. Several rooms cleaned up. Lots of clothes sorted through. Under the right guidance and instruction. But without that–without guidance, without instruction, without knowing how to do it–you’ll just wander aimlessly and even if you do a lot, you’ll get very little actually accomplished. 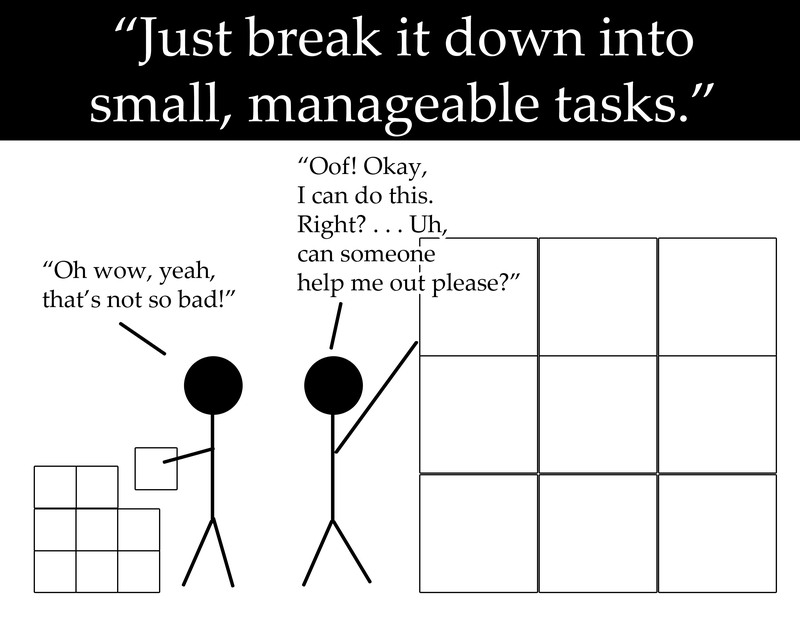 Not nearly as much as if you’re taught how to be efficient. Especially if you’re a child. So children wandering on a beach full of debris might get some done, more than if they did nothing at all, but not nearly as much as if an adult helps them get organized, teaches them how to do some things, works with them, and gives them specific instructions. That mental image of adults and children working together to clean debris up from a beach after a hurricane is kind of nice. A “hope for humanity” kind of image. But now picture that, instead of helping them get organized, an adult out there sitting in a chair, yelling at them that they need to get things picked up, blaming them for the mess on the beach (and hey, maybe some of it is their own mess, who knows? but certainly not all of it), and then yelling at them for throwing some things away because “that can be fixed and I can still use that!” while also yelling at them for not throwing other things away that “obviously” are trash. Yeah. That’s what cleaning in my house was like. Now, in my house, that adult yelling at us for not cleaning was my father. Most of the time. My mother did too, but not nearly as often. She wasn’t home often, busy working and driving people places. My father was home all the time, and my biggest memories of him (except a few precious memories of wonderfully deep conversations about science or philosophy or the Bible or music or whatever else; and a few weird memories when his inability to do anything was suddenly set aside when he wanted to create various artworks or cook way more food than needed to be cooked at once) are predominantly of him yelling at us for not cleaning, getting upset about things not being clean and throwing things around (which just relocated the mess rather than actually doing anything useful), watching TV, or being in his bedroom asleep while we had to try to stay as quiet as possible. And no, I don’t blame my father for all those things. I understand some of them. He was frustrated at his disabilities, felt useless or like he wasn’t “good enough” because he couldn’t work to provide for his family. His already-night-owl sleep schedule was extra messed up with various medications he was on. I get that. But that doesn’t absolve him, either. I’m babbling, though. Covering too many topics. My point is, in a place like that, who would ever notice something being put away where it belonged? It’s one of those stupid little things–just one sentence shouted in frustration–that for some reason has stuck with me my whole life. As I’ve gotten older and learned how to clean on my own, I’ve learned something very important that, in all honesty, I really knew at the time but wasn’t sure how to do: it definitely takes a lot more than just doing one thing every day in order to keep a house clean. Kids try to figure out how to clean. Kids get yelled at for touching some precious Puzz3D/moving something they shouldn’t have (but had no way of knowing they shouldn’t have)/throwing something away that looked like trash to them but apparently was SUPER important to keep/etc. Kids get worn out trying to get the whole overwhelming mass of junk cleaned up/trying to figure out WHAT to clean up and what not to. Repeat as necessary–but don’t bother rinsing because, hey, who knows if we really need to or not? I’m not saying that it’s my parents’ fault if I don’t have a clean house. But I am saying that I’m having to learn a lot of things as an adult that I should have learned as a child, or even as a teenager. I had no idea until college that laundry might ever involve anything other than throwing clothes in the washer, turning it onto who-knows-what setting (I mean, as long as water’s going in, right? ), adding some soap, letting it do its thing, then throwing them in the drying and putting them on whatever setting (really, why were there so many choices? couldn’t they just put an on button?) until dry. I mean, I knew enough to know that the masses of laundry all over the couch and floor probably weren’t the best choice and it’d be great if they were in the dresser. But, hey, that was a luxury, really. I was super self-conscious about the smell that emanated from the clothes I wore, and the fact that I wasn’t always 100% sure whether they’d been washed since they were last worn or not. (Or was 100% sure that they hadn’t been.) But at least I had something on. Anyway. I’ve learned a lot–SO much–from college roommates and in various ways since college, about how to clean. I know how to clean a shower now. I know how to clean a bathroom sink. I know that the faucet should probably be smooth metal colors and not just mottled toothpaste spit. I know how to scrub a sink, and how to make sure dishes actually have all the grease off of them and not just all the obvious bits of food. I know how to vacuum edges of the room and not just make the middle of the room look good. I know how to mop a floor either with a mop or on hands and knees with a rag, and how to do so in a way that doesn’t involve bathing suits and the floor remaining wet for the rest of the day. But maintaining a regular cleaning schedule? That’s the hardest thing for me to learn. I’m getting better at it, though. So much better, in fact, that I was almost completely caught up on dishes and it looked like I’d actually be able to stay caught up! Then, for various medical reasons, I’m not allowed to do any heavy lifting or stand/walk around for lengths of time, at least for the next few weeks. This at the same time that my husband is, when not working, busy studying for an important exam he has coming up–one that will mean getting a required certification for his job. I was SO CLOSE! And now everything is slipping away again. So today my mother-in-law is graciously here helping me. And I love her for it. And I appreciate her help. I really, truly do. Yet, when I look at her pulling a jar out of my sink that has now-moldy smoothie remnants, and scrubbing my stove of all the random bits of food that I’ve managed to cook but worn myself out too much to clean up after . . . I feel ashamed. I feel like a failure. I couldn’t figure out what that would be. Feeling like I’ve failed to not be caught up when I really should be is one thing. But feeling like I’ve failed when I have a legitimate medical reason that everything isn’t caught up? I don’t know why that is. I was toying with various reasons. Maybe because she’s my mother-in-law, and even though I really see her as more of a real mother to me than my own mother, I still feel like she doesn’t understand why cleaning is such a huge learning curve for me. And she really had a busy summer, and hasn’t been here to see that I’ve stayed more caught up on things the past couple months (and especially the past month or so). Maybe because she keeps such a clean house that I feel like even at my best I’ll never live up to her standards, even though she doesn’t say anything to me to indicate that she sees me as failing in any way. Maybe because I married her son and I feel like she might see me as not taking care of the house the way her son deserves. Then I asked my sister why she thinks it is that I feel like a failure even when I know that, at least for this once, the mess is not my fault. I’ve been doing everything I can (and perhaps slightly more than the doctors want me doing right now) and just can’t do it all while having to stay sitting so much. She’s right. She’s absolutely right. Which means, in reality, it’s linked to my PTSD. Regularly feeling like a failure growing up, because I couldn’t figure out how to keep the house clean the way we were constantly yelled at to do. Because things that society expects me to know, as a grown woman, are things that I’m still just learning now, and I feel like I should already know them. My siblings and I were always expected to already know them. There are other things that’s true of too. Cooking–our father always wanted to teach us how to cook, but rarely taught us much, and we were so often left to do it on our own that we sort of just figured things out as we went. (Without even being able to Google to find out how to do it!) But that’s something that we could ask our father about if we had a question, and he would answer us. It’s not something he treated us like we should already know. *blink* *blink blink* Oh. Because it would still be 24 hours of clean underwear. More or less. Change it after the shower, not in the morning. Pretty sure I was 13 or 14 years old. No one had EVER told me that if I was going to shower or bathe every day, it was most logical to change my underwear right after that, rather than at the opposite end of the day. Why my mother assumed I would just know that, I have no idea. That’s one of several things she responded to, when I was a preteen or young teenager, in a way that seemed to indicate, “But you can do things however you want.” Things that she should have taught me, or my father should have taught me, but neither of them did. And my older sisters didn’t because I’m pretty sure no one ever taught them either! But most of those things–brushing teeth regularly, changing to clean clothes and underwear after a shower rather than just first thing in the morning when your shower is every evening, various cooking skills, and a host of other things that my parents didn’t take the time to teach us–those are either things that aren’t quite as huge a learning curve (or at least haven’t been for me), or (in the case of cooking) that people don’t really expect every single person to be able to do perfectly and don’t treat you like you’re completely inept if you’re unaware of how to do it. Cleaning, though? That’s something that you actually have to be taught to do, and yet so many people learn elements of it as a child or by example that it doesn’t even occur to them that someone who struggles with it may not have ever been taught. And it’s something that my parents seem to have expected us to know how to do even though they never taught us how to do it. They yelled at us for not doing it, yelled at us to do it, and on rare occasions sat down long enough to help us pick all the clothes up off our floor and put them in our drawers. But they never taught us how to do it. And certainly never taught us how to do it regularly. There’s a thing about being a parent, though. Sometimes you can learn along with your child. Learn to see the world through a child’s wonder; learn to think differently; learn to care about the simple things again. And in my case, I want to make sure I teach my children how to clean, and how to do so regularly. So I’m learning along with my toddler. After lunch today, he took his own plate to the trash and scraped the remnants into it, then gave it to me to rinse. While I did that, I gave him the dish cloth to wash the table. As a toddler, he can already do things (without even being asked!) that I never learned to do until I was in college, or later. So we’ll keep learning together. And meanwhile, I’ll keep trying to look at those successes, and not focus on feeling like a failure. Yes, that’s right, two posts in one day. Because it’s just one of those days. The kind of day where everything feels like too much. The kind of day where our finances are stretched to the max despite our careful planning. The kind of day where the burden of my parents’ lack of financial planning is falling on their children, however indirectly. The kind of day where I so seriously appreciate my husband’s hard work and the income he brings, but the stuff to do around the house is piling up due to my own health issues. Yesterday was a determined day. The health issues I’ve been having recently (which I’ll be seeing a doctor about tomorrow) are making a lot of things super-difficult, but I was determined to do things anyway so I set up dishes at the kitchen table, with a wash bin, a rinse bin, a dish drainer at the edge, and another bin on the floor to catch the water the drained from the dish drainer. And I’m going to do that again today. Because I will NOT be my parents. But while I do that, there are other things piling up. More messes that I need to supervise my son in cleaning up. But he doesn’t understand “Mommy doesn’t feel well and can’t move that fast.” He understands Mommy is there to help him clean up his toys and his books, but he doesn’t understand that Mommy can’t chase him around the whole house getting all of them. But I will not, will not, will not have a house that’s “messy just because of the kids,” or “messy just because I’m sick.” Because that’s what I grew up with. And it’s NOT going to happen to my children. They will not grow up believing everything is their fault. They will grow up knowing responsibility–you took it out, you put it away–but not being told that every general mess is their fault. 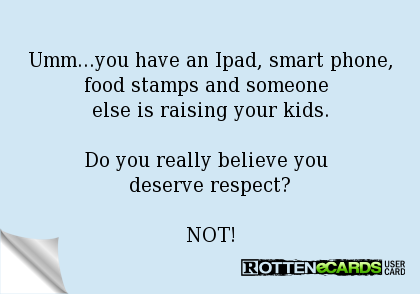 Nor will they grow up believing that a gross, dirty house is just the way it should be. No. Not my children. It’s one of those days. One of those days where I just want to cry and eat cookie dough and watch sappy movies. But I’m not going to. Because I am determined to be determined, even when I don’t feel very determined. I owe it to my children. More importantly, I owe it to the adults my children will one day be, and to the spouses they will one day have, and to my grandchildren, not to leave my children with the same emotional scars and baggage, the same sense of everything being their fault, and the same super-high learning curve of how to keep a reasonably clean–not necessarily spotless, but livable and sanitary–house for their families.